Majestic: Cable Beach, Broome, on camel back at sunset. Not much beats a sunset stroll along a spellbindingly pretty beach. Not much, of course, except for when you’re doing the strolling atop a majestic – and charmingly friendly – mammal. 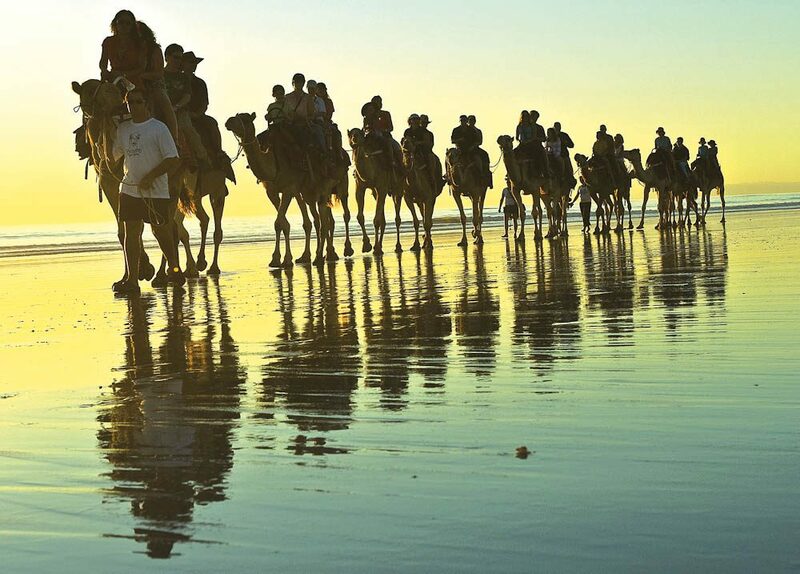 Find out why it’s such a bucket list item and book a sunset camel ride through one of the three operators in Broome. The kids will (hopefully) love the camels, you’ll fall in love with the spectacular beach vistas, the softly dropping light, and that famed pace of life they call ‘Broome time’ – to which the camels seem well attuned. There are also morning and ‘pre-sunset’ tours on offer. Hot tip: book early to avoid disappointment, and check your departure time as it can vary depending on the sunset and the tides. Most importantly, enjoy the ride!